DENVER — In celebration of Women's History Month in March, the Colorado Women's Hall of Fame opened nominations for its next class of inductees. The Hall inducts women every two years on an even year cycle and each class includes up to 10 women, usually four historical and six contemporary women. 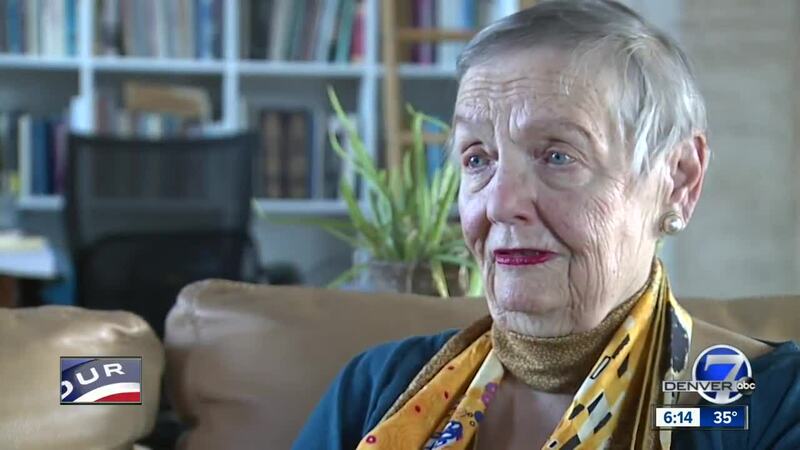 In honor of Women's History Month, Denver7 sat down with 1996 inductee, preservationist and developer Dana Crawford to talk about how she made her way into the Hall of Fame. Crawford grew up in Kansas but moved to Denver after graduate school. "At the time, people weren’t paying much attention to where the city had been, they always thought of it as being such a new city," Crawford said. But in 1965, Crawford began preserving the new city’s historic charm. “The area where Larimer Square is was slated for demolition...block after block, and chapter after chapter of the early on founders of Denver were just written there in the history books. So I was compelled to save it and able to find others who were interested in saving it as well," Crawford said. And as the 22-year project neared completion, Crawford jumped right into saving another historic gem: Union Station. “There were only two trains a day that came through Denver...the Regional Transportation District, they couldn’t see that anyone would ever want to spend time in the station," Crawford said. Crawford’s partners honored her decades of work by naming the station’s hotel the Crawford Hotel, but she wasn’t too happy about that. "I said no originally," Crawford said. But Crawford said her family helped change her mind. “All the girls said, 'Let’s do it.' So I thought, well, you know if the next generation is speaking, let’s do it and now I’m glad we did it," Crawford said. Crawford said like most women in the 1960’s and 1970’s, her professional journey was hard. "I think that we always have to work harder and longer hours and we frequently have to manage families at the same time....having four boys is my favorite project and probably the most challenging one too," Crawford said. But according to Crawford, all of her projects, including her family and her life’s work, have all been worth it. For more information on Dana Crawford's induction into the Colorado Women's Hall of Fame click here.